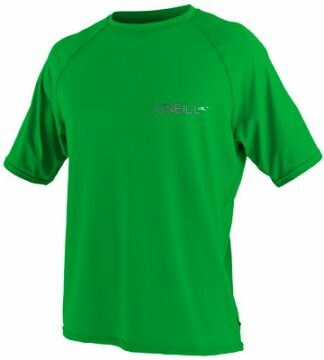 O'Neill rashguards offer the ultimate in protection, fit, and functionality. Crafted from super soft and stretchy 6oz lycra spandex, these stylish rashguards feel great against the skin and are quick drying with anti-microbial properties to keep the stink away. The UPF Rating (Ultraviolet Protection Factor) is 50+ for maximum sun protection. A boardshort connector on the front allows you to attach to your trunks to keep the top from bunching up. 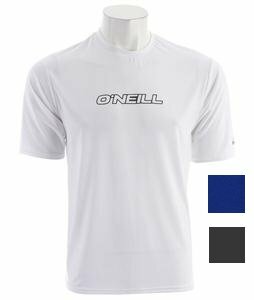 Note: O'Neill Skins fit snugly, so order 1-2 sizes larger than your t-shirt size if you prefer a roomier cut. 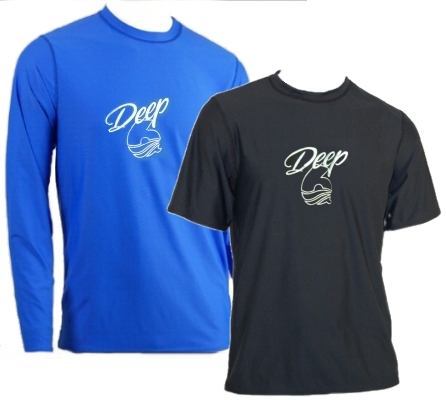 This long sleeve, stain-resistant shirt from Costa Del Mar is perfect to wear out on the water. 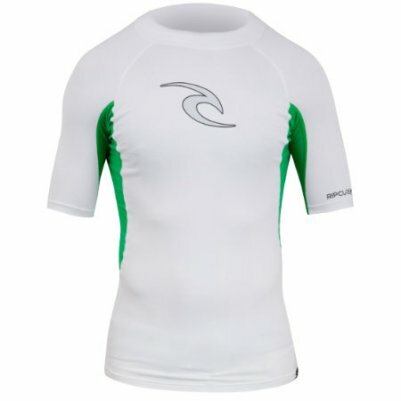 It sports UV 50+ protection and is moisture-wicking, so it's great for a long day in the sun. 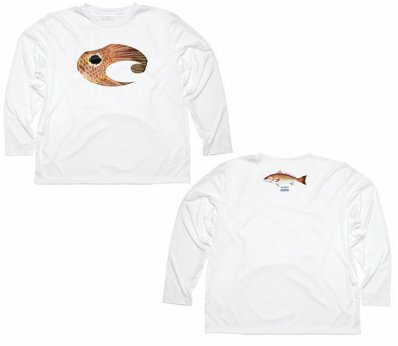 It has a small redfish on the back and a large Costa logo on the front that looks like it was cut right out of its tail! You're sure to perform in the Costa Del Mar Redfish Performance shirt. 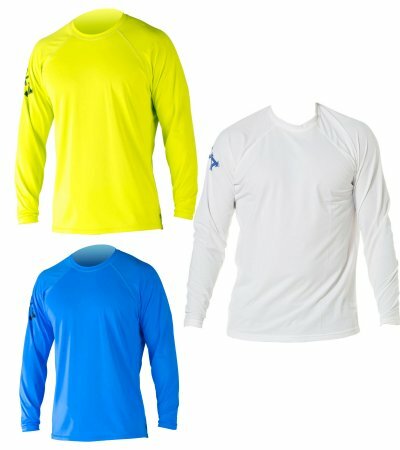 Tired of looking for active clothing and only walking away with cotton shirts that stain the first time you get a little "too active"? 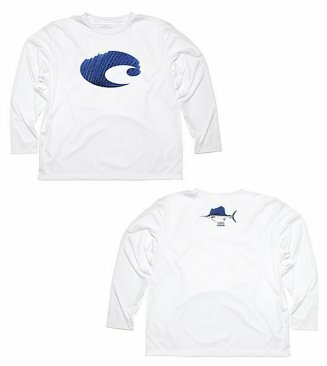 Don't worry about that when you've got the long sleeve Costaâ„¢ Performance Sailfish T-Shirt for men. This t-shirt is perfect for all your outdoor events with a Costa logo on the front and a small sailfish logo on the back. 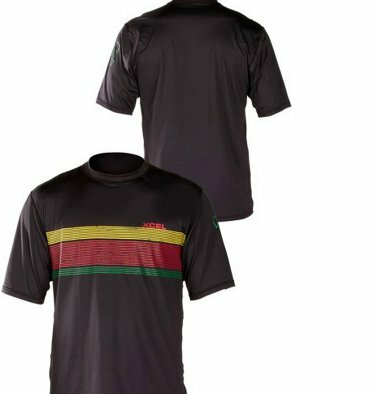 In addition, the Costa Performance t-shirt is stain-resistant and has UV Protection Factor of 50+. 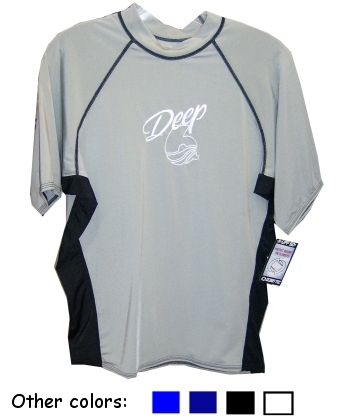 Made of 100% polyester moisture-wicking material. 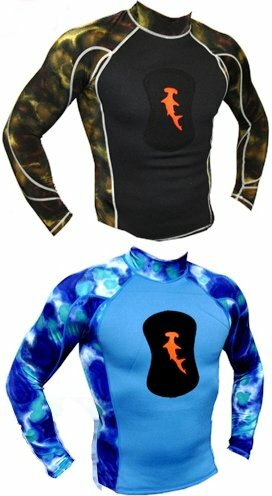 Finally, a high quality, inexpensive rashguard! Made by Ocean Tec. Sports our classy logo on the front. 6 oz weight material provides an ultraviolet protection factor of 50. Assorted colors available...see menu. Available in a loose cut version also. Great price! 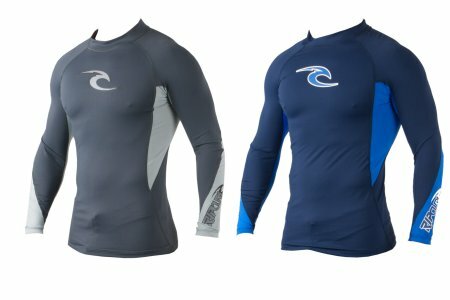 Finally, an inexpensive, high quality rashguard! Made by Ocean Tec. Sports our classy logo on the front. 6 oz weight material provides an ultraviolet protection factor of 50. Now available 3XL, 4XL, and 5XL!! Many colors available...check menu. Silver with black sides is shown. Great price! Also, a loose cut fit is available for those of you who don't like em tight. 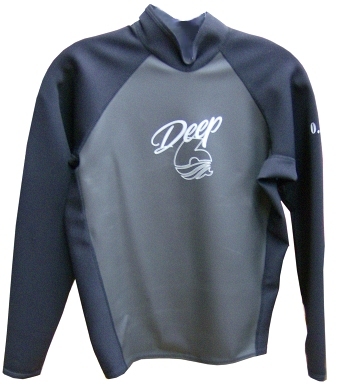 Ideal to be worn under or over Flexa for higher warmth retention in cold water diving. Low compression neoprene on the top of the head, 3mm bib and face improve heat retention. Ultraelastic neoprene at the neck, side of the head, and body for easy entry. Don't get chafed skin, go loose! Available in short or long sleeve styles. Prices start at $26.99 for the short sleeve and $31.99 for the long sleeve. The O'Neill 24/7 Series provides some serious protection against UV exposure and fatigue. If you plan on spending a lot of time on the water this season, then you'll want the Men's 24/7 Tech S/S Crew on your back. 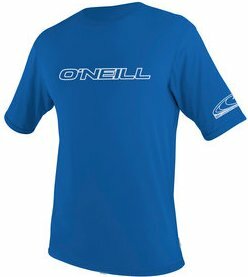 The O'Neill Skins Long Sleeve Crew Rashguard is a great choice for surfing and other watersports. Minimalist designs that offers excellent rash and UV protection of 50+. The Skins Series features 6 OZ Nylon/Spandex with quick dry, four-way stretch properties and ergonomic seam placement. Features the connector-boardshort interface. 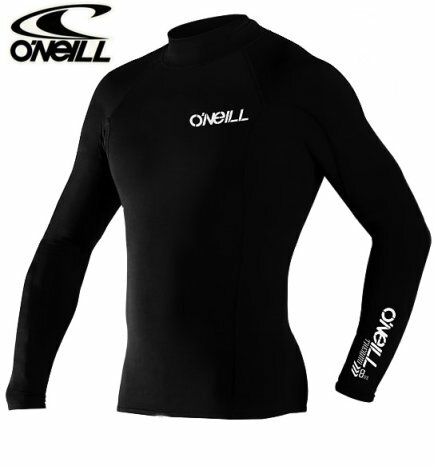 Spring temps call for the lightweight insulation of the O'Neill Thermo Long Sleeve Crew Rash Guard. Made from 8 oz P2 Polypropylene, this long sleeve surf shirt gives you just enough warmth to keep you comfy while the low bulk fabric and construction don't hinder your paddling at all. This O'Neill rash guard has 4-way stretch, seamless paddle zones under the arms and UPF 50 sun protection to shield your back from UV rays. Back on land, the water-repellant, odor resistant properties help it dry fast and keep it fresh when you leave the O'Neill Thermo L/S Crew shirt in your car all 8 hours while you put in some time with the man. 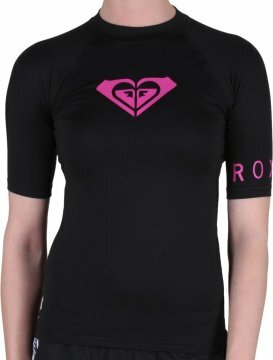 The Whole Hearted Short Sleeved Women's Rash Guard from Roxy.